Late summer rains produced perfect conditions for ear moulds in corn. Producers across Ontario were reporting higher-than-normal levels of DON, levels that hadn’t been seen since 2016. In response, the province steps in with storage tips and support for growers. 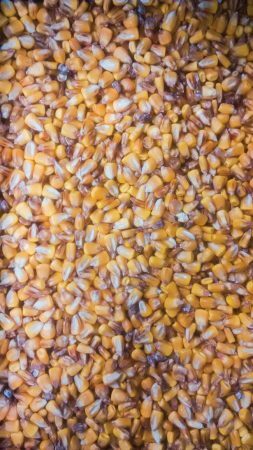 The pink colouring on the ear of corn shown here is a good way to distinguish Gibberella from other ear moulds. PHOTO COURTESY OF BEN ROSSER. Wet conditions during the latter part of the 2018 growing season in Ontario resulted in higher than normal levels of Deoxynivalenol (DON) in corn crops, particularly in the west and southwest of the province. “We do a pre-harvest survey every year,” says Ben Rosser, corn specialist with the Ontario Ministry of Agriculture, Food and Rural Affairs (OMAFRA). “It’s always present in some parts of the province, but this year it was higher than normal with a larger area affected.” He says they saw a similar situation in 2006. DON is a type of mycotoxin caused by Gibberella ear rot. While some livestock can consume corn with higher levels of DON, severely infected corn causes limitations for making feed, which in turn affects the saleability of the crop. There is also a health risk if the mould is inhaled, so producers should handle infected grain carefully. 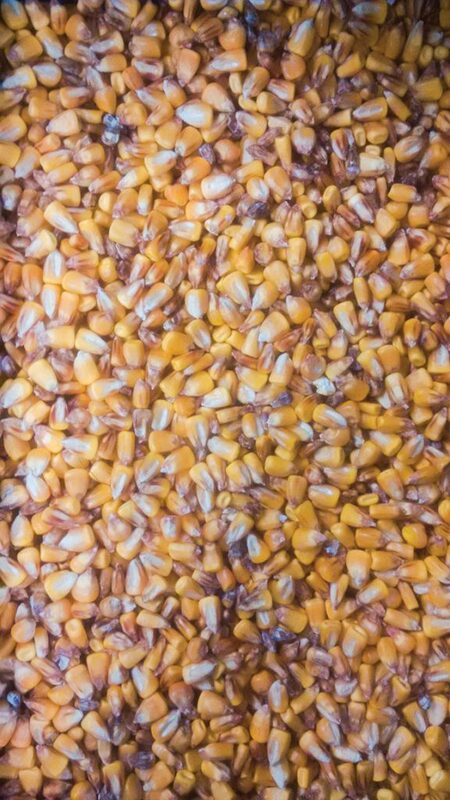 The 2018 grain corn ear mould and vomitoxin (DON) survey, conducted in collaboration with OMAFRA field crop staff, the Grain Farmers of Ontario (GFO) and members of the Ontario Agri-Business Association (OABA), revealed that 60 per cent of the 146 samples collected tested at less than two parts per million (ppm), 15 per cent at two to five ppm and 25 percent above five ppm. Comparatively, OMAFRA’s field crop team reported in its 2018 corn seasonal summary, six to eight per cent of samples tested above five ppm in more recent elevated years. 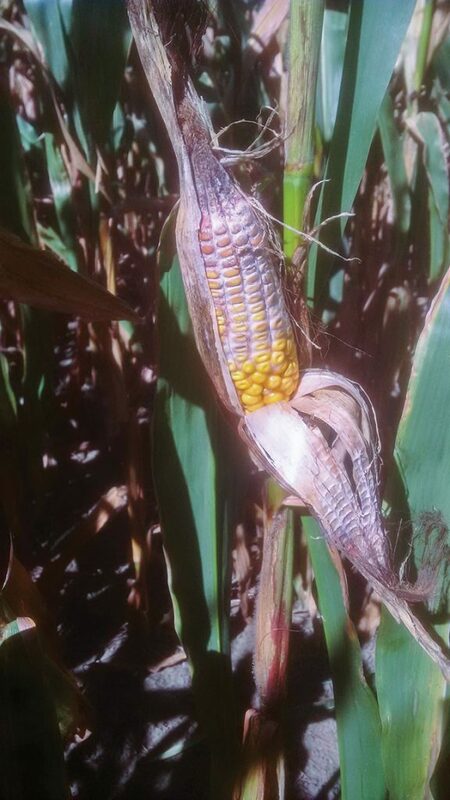 Grain corn affected by Gibberella ear rot. Photo courtesy of Ben Rosser. James Dyck, an engineering specialist for crops systems and environment for OMAFRA, says there is not a lot of difference when it comes to best practices for storing corn affected by DON as when storing a regular crop. However, if a corn crop is infected with DON, it is compromised, which puts it at higher risk of mould spreading in storage. The solution: dry it, aerate it and monitor it. Monitor it: If the corn is questionable going into the bin, Dyck says to keep an eye on it in the bin and move it as soon as possible. “It’s the same as with a regular crop, just at a higher risk,” he says. Rosser recommends segregating DON-infected corn from other corn if possible and he suggests cleaning the corn before storing it. Several organizations have announced initiatives to support producers during this stressful time, including Agricorp, the crown corporation that delivers business risk management programs to Ontario agricultural producers on behalf of the provincial and federal governments; the Ontario Corn Committee (OCC), which is made up of representatives of Agriculture and AgriFood Canada, OMAFRA, the University of Guelph, the Ontario Soil and Crop Improvement Association, the Canadian Seed Trade Association; and the Grain Farmers of Ontario, which represents Ontario’s 28,000 barley, corn, oat, soybean and wheat farmers. research or testing the OCC could undertake to improve the knowledge about hybrid response to Gibberella and/or management practices to reduce the risk of DON accumulation. The OCC also established a working group tasked with recommending actions and/or research that the OCC can implement this year to assist the industry in reducing the risk of a similar crisis in the future and investigating a system to develop hybrid ratings. The GFO proposed a number of ideas to government, including financial support, with the goal to help alleviate farmer-member concerns around testing protocols, cash flow, storage of corn and harvest bottlenecks, new markets for high DON corn and support for on-farm testing and technology. The GFO is also supporting a number of creative solutions to do with testing, exploring markets and storage, the latter of which it says it is prepared to support with $240,000 to purchase grain baggers for temporary storage solutions.